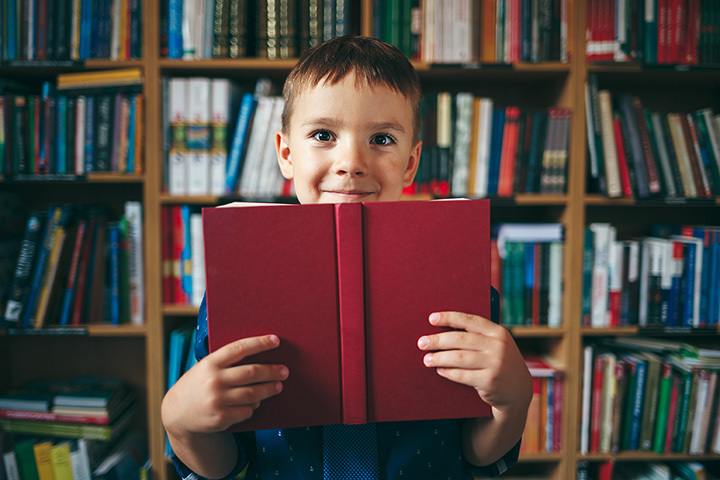 Stacks upon stacks of books, access to research materials, after-school programs for children, and above all, a community gathering space—that’s what the great libraries of South Dakota will bring you. Here are our favorites in the state! Rapid City Public Library is more than just a library, it’s a community meeting place! One of the most unique aspects is the CHAOS Makerspace, which provides the community with cutting edge technology and resources such as 3D printers, robots, arts and crafts, high-end design computers, and more. There are monthly programs that teach all age groups how to code programs, create 3D models, and much more. Check out the library’s calendar for a full list of all the programs! Callie Branch Library is part of the Siouxland Libraries system, but it is one of the best! Like the downtown library, they offer an array of services and programs from teen and children reading programs to clubs to a bookmobile and much more. Go to their website to find out what programs are hosted by this branch. Located on the South Dakota State University campus, this huge library is a great resource for researchers and book worms alike. Not only do they offer a vast selection of books in nearly every subject, but also have an archive historical records and documents as well as research papers for academics to use. This library is a paradise for researchers! From bestselling novels to an array of children’s books to research journals, the Huron Public Library has something for every reader. The library also hosts events for kids and teens like a Pokemon club, movie day, 4-H club, crafts, writers club, and much more. There are even a few adult groups like adult crafts and book club. The Devereaux library is the only library at the South Dakota School of Mines and Technology. Despite the relatively small size of the campus, this huge library has a large selection of both popular fiction books and research materials. Also available are quiet reading and study rooms, social spaces for collaboration, and research assistance. This welcoming community library has helpful staff members who can help patrons find their new favorite book! The shelves are stacks with books for nearly every subject imaginable and the quiet and relaxing atmosphere makes it the perfect place to crack open a good book. The library hosts many fun events, programs, and clubs for patrons of all ages from kids to teenagers to adults. A full schedule of events can be found on their website. The Yankton Community Library’s mission is to “uphold the public’s freedom on access to information by providing a dynamic collection in a variety of formats and technologies, and responding to the needs of the community through timely services and programs.” They accomplish this goal and much more through fantastic programs for the Yankton community. From their children and youth programs to research assistance to tutoring, this library truly helps this community improve. The library in Vermillion was established in 1902 when a band of about 100 citizens joined together and made a plan for funding. With a recent 2013 expansion, the library is better than ever and ready to accommodate activities for the community. Library services include community outreach for homebound and hospitalized community members, digital talking books, hotspots available for check out, meeting rooms, microfilm collection, and programs for kids, teens, and adults. The Watertown Regional Library dates back to 1899, making it one of the oldest libraries around. The library offers community rooms, genealogy resources, research databases, and resources for children. Fun events are hosted throughout the year such as book clubs and storytime. The Watertown Regional Library is an invaluable part of the community! Part of the Siouxland libraries, the downtown branch offers a wonderful place to settle in with a good book. Not only that, but the library has computers available for usage, book clubs, online classes, storytime for the little ones, movies available to take out, meeting rooms that can be reserved, and much more!